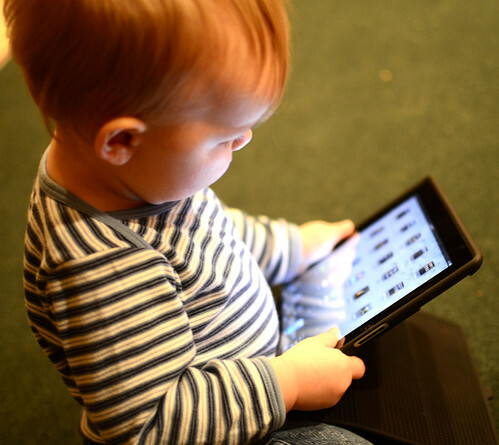 I recently stumbled across an interesting article in the Denver Post that discusses some new efforts that are occurring in Colorado to educate children as young as 3 years old in technology education. It's an interesting article because it talks about the new Common Core Standards that have been set in Colorado that emphasize including technology as a component in subject standards. The article continues with an example of an activity that was used to reach the Curricular Standard "gain, evaluate, and present increasingly complex information, ideas, and evidence through listening and speaking as well as through media." The activity that a teacher used to hit this standard was having their students create a their own podcast and then post it to their class blog. What's truly amazing about this activity is that it an example of a typical activity for a fourth grade student at this particular school. When I first read this I was kind of blown away because creating a podcast and posting it to a blog is something that we were just learning how to do a few weeks ago, and we're at a post-secondary level of education. The fact that fourth grade students today are already successfully completing Technology Tasks such as this really made realize how important it is for teachers to be educated in technology practices such as blogging or creating podcasts. By educating ourselves with new technology skills we are able to use technology as a tool to not only educate ourselves as educators but also enhance student learning through new means. While articles like this highlight the importance of utilizing technology in our classrooms, it seems like this issue is more talk than it is action. I would bet that within most school systems there are only a handful of teachers that truly know how to successfully utilize technology as learning tool. With this in mind, do you think it should it be mandatory for all educators to attend workshops and institutes on using new technology in the classroom?